Water resources management in trans-boundary river basins involves multifaceted interactions among various stakeholders at all levels of water management hierarchy and requires a shared vision of sustainable water resources management and development in Central Asia. access to data on water/land resources use and socio-economic situation in the Aral Sea Basin has been an obstacle for making adequate short- and long-term decisions on trans-boundary water resources management and on implementation of relevant policies. water sector, the CAREWIB Project has undoubtedly contributed to this favorable development. Based on good will, mutual understanding and support of ICWC members, the CAWater-Info Portal and Information System have been created during the project Phase-1 to offer unique information products that have no analogues in Central Asia. 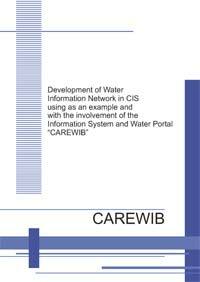 CAREWIB Project, Phase-2 is aimed at further improving information support of the water and environmental sectors in Central Asia as started under Phase-1. The objective of this project is improving main products of CAREWIB project, such as portal and information system through the involvement of Russian-speaking water community in already established and maintained network and the exchange of information and accumulated experience.